Prepare biscuits using the directions on the package. Brown beef and onions in a skillet, while stirring. Add Chili-Beef soup and green beans. Adjust seasoning and add salt and pepper, if needed. 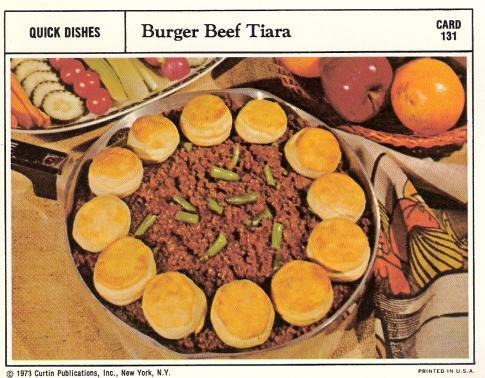 Serve on a platter with biscuits circling the beef.